Put those Meal Mapping Skills to work! Learn the tips and tricks to make you a proficient Meal Mapper. Welcome to the fourth post in this series dedicated to Meal Mapping. If you aren’t up to speed, go back and read the previous posts to get an idea of what Meal Mapping is. Go ahead, we’ll wait for you! Post 2: How Will Meal Mapping Help Me? Welcome back! What do you think of Meal Mapping? Hopefully you were inspired and excited to get started. 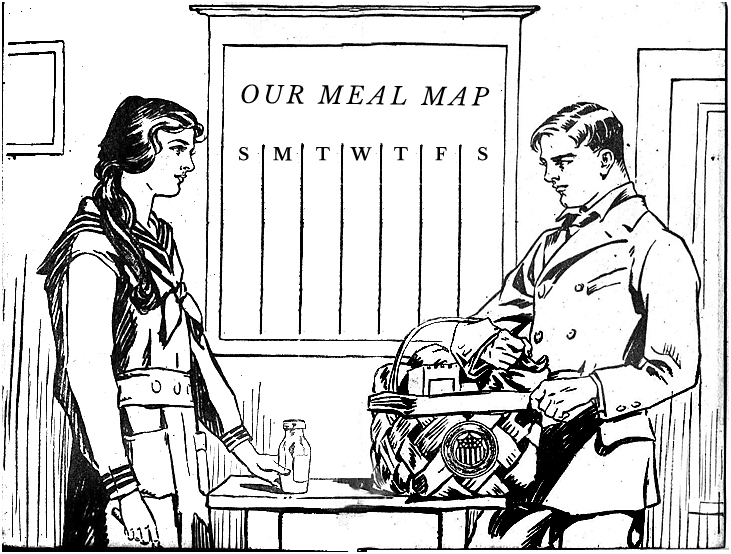 But perhaps you’re a little unsure of how to put Meal Mapping into action? Have no fear, I’m here to help! This post is dedicated to making you the most successful and efficient Meal Mapper. I know you don’t have a ton of time, so I’m keeping it simple. Read the points below, take notes and then keep this page book marked so that you can easily reference it later. Get out your calendar and book some time for Meal Mapping. My recommendation? Pick a weekend day, at a time when you are usually of sound mind and judgment. For the best success, make this a recurring date for yourself. I personally choose Saturday morning, after my cup of coffee and breakfast. You’ll need at least 45 minutes or so the first time, then more like 30 minutes each time after. Whether you are old-school and prefer using a notebook and pen, or you prefer a digital solution like Plan to Eat, gather the tools you need to document meals, ingredients, and other family member’s schedules. Find the tools that work best for you. First things first, figure out how many meals you’re going to need for the week. Look at your calendar. Does someone have a basketball game after school or do you have a date night planned? That may mean you don’t need 7 dinners, right? So count the number of meals you’re going to need based on your calendar. Success! You’ve made it to step 4, things get more fun from here on out. Now you get to pour through your recipe collection for old favorites, or scour the internet or your cookbooks for new and exciting ones. I have collected many recipes over the years that I love and I keep them organized in one place so that they are easy to access. 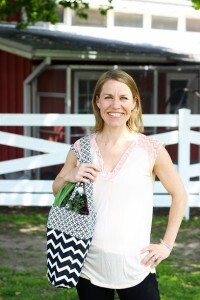 This helps to make planning next week even easier, because I have a list of recipes compiled. During the busiest weeks, when I don’t have as much time to plan, I’ll often rely on a few go-to recipes for my meals and then find 1-3 new ones to try. And I almost always find recipes that allow me to make more than 1 meal. I highly recommend you do that too because it means less time spent cooking and more time sitting at the table enjoying your food and company. Now it’s just a matter of getting those ingredients into one organized shopping list, whether that’s on a piece of paper or on your phone. I have advice about this too. When you make the list, place ingredients into different sections according to where they are in the store. For example, I put all of my produce ingredients in one area, my dairy and cooler ingredients in another, and I put pantry ingredients in another and meat into another. Then I grab my recipe and start putting ingredients in their proper place on my list. I promise this makes your trip to the grocery store amazingly efficient. You’ve got the ingredients for your meals onto your shopping list, but now you need your staples! What are staples? They are food and supplies that you often need that aren’t on your list because they aren’t ingredients in recipes. Some of the items that always show up on my staples list are whole wheat bread, milk, apples, carrots, lettuce (usually two kinds), bananas, other fresh fruit that’s on sale, peanut butter, cheese, whole grain (low sugar) cereal and a handful of other things. You can save your list and re-use it every time you need to head to the store. And with that, you are ready to head to the grocery store! Six simple steps for making your life, easier, healthier and less wasteful.